The Oracle Collegiate Challenge is an annual tournament held over the final weekend of the BNP Paribas Open (March 15-17, 2019) showcases some of the top men’s and women’s collegiate tennis programs in the country. Tennis-Ticker is proud to again be selected as the event’s live scoring provider. Fourteen matches featuring eleven of the top Division 1 men’s and women’s teams will be contested on the Indian Wells Tennis Garden courts, beginning at 8:00 am daily. The participating schools in the Men’s competition are: Arizona State University, Baylor University, Cornell University, Purdue University, University of California at Berkeley, University of Idaho, University of Michigan and University of Southern California. At the Women’s event Baylor University, NC State University and the University of Southern California will compete. Merry Christmas from the whole Tennis-Ticker Team! It has been a great year 2018 with many new events using Tennis-Ticker. We are already looking forward to 2019 which will feature again many highlights. 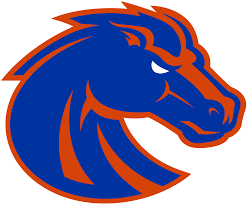 Before we go into the Christmas break, we would like to congratulate the teams of Boise State. Maria Lopez (Assistant Women’s Coach) was drawn as the winner of the Tennis-Ticker Raffle at this year’s ITA Coaches Convention. The Boise State tennis program will receive Tennis Ticker – one year of free live scoring! Congratulations, Merry Christmas and happy holidays! Tennis-Ticker will take part in the ITA Coaches Convention from December 15-16 in Naples, Florida. There will be around 250 coaches and assistant coaches from NCAA Division I, II, III, NAIA and junior college levels that will make their trip to the Naples Grande. Tennis-Ticker will have a booth in the Exhibitor Area and give demonstration of its Live Scoring products. Feel free to come around and experience first-hand how the Tennis-Ticker system works and which benefits it can bring to your university. Our team will be there to answer all of your questions. Coaches are also invited to take part in our raffle to win 1 year of Live Scoring for your their university. See you in Naples! Serving as the culmination to the fall season, the Oracle ITA National Fall Championships will take place November 7-11, 2018, at the Surprise Tennis & Racquet Complex in Surprise, Arizona, which recently hosted the 2018 NCAA Division II National Championships and previously hosted the 2016 ITA Small College Championships. The Oracle ITA National Fall Championships features 128 of the nation’s top collegiate singles players (64 men and 64 women) and 64 doubles teams (32 men’s team and 32 women’s teams). In its second year, having replaced the ITA National Indoor Intercollegiate Championships, it is the lone event on the collegiate tennis calendar to feature competitors from all five divisions playing in the same tournament. Tennis-Ticker is proud to provide Live Scores of all matches.